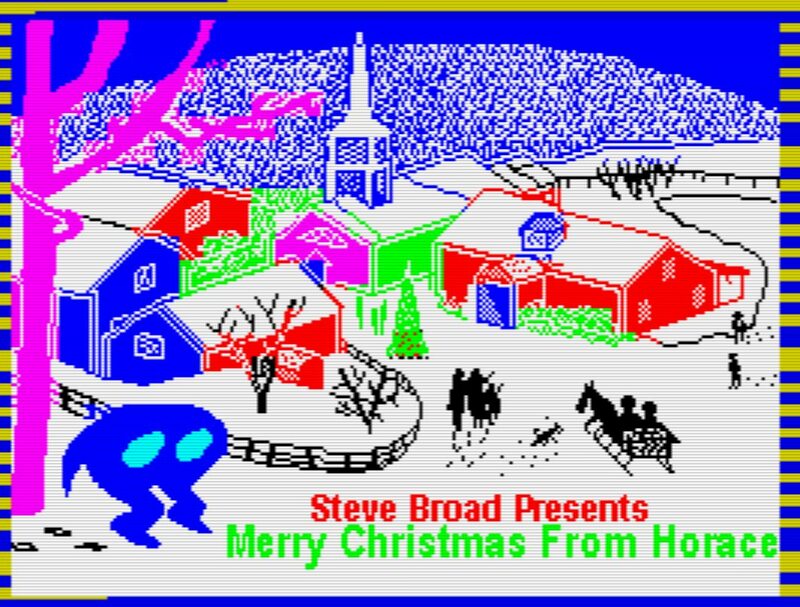 Some more festive fun for our retro gaming readers, is the latest game from Steve Broad ' Merry Christmas from Horace ' for the ZX Spectrum 48K. Now many of you nostalgic geeks might remember this blue eyed, blob character with arms and legs, that's because he first appeared way back in 1982 in the Pac-Man style arcade game of Hungry Horace by Beam Software. Which was celebrated as the first arcade game for the ZX Spectrum and the first game in the Horace series, such as Horace and the Spiders and Horace Goes Skiing. Now thanks to Steve Broad, Horace is back, but this time in his own Christmas themed game collecting presents! But not only is Horace back but so are the enemies, and it's down to you to collect all the presents dropped by Father Christmas, and to try to avoid being hit or falling between the carriages. So all you have to do is to jump as high as you can, collect all the presents and it's a level completion through each of the 49 screens. Just make sure to get the bell when it appears for an extra bonus! All in all Merry Christmas from Horace by Steve Broad is a charming game indeed and fun for all the family that really goes well with all the other Horace games in the series. Oh and if you really wanted to add it next to an original tape, the creator has also made available a tape inlay, based on Horace goes Skiing, Niiice!